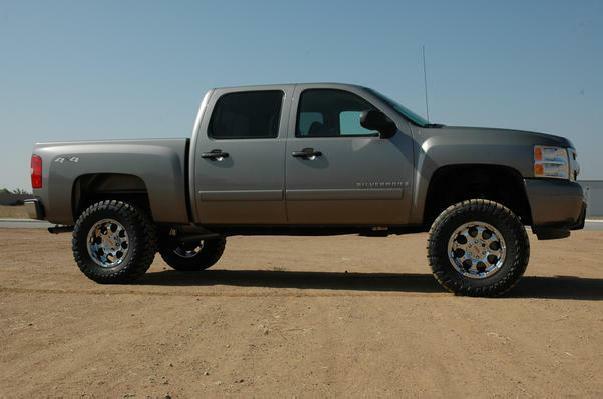 2007-2013 Chevy Silverado 1500 Complete Lift Kit by CST 8" Lift5Ron ScarpittiOctober 25, 2012Kit was easy to install, used 4 post lift but could be done in a driveway with several jacks. directions could use a little tweaking. Bottom line is if you want a great looking stance and material that will stand the test of time.....this is it!!! Rides great and Looks great!! If you're looking for a performance lift for of your truck, but want it to still be able to be a daily driver, you've found the right kit. 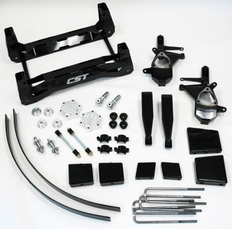 This CST Suspension lift kit uses fabricated lift spindle uprights to achieve 4" of front lift. A 1 piece subframe is used w/ heim outer steering is added to complete the lift at 8". Sway bar drop mounts with new links are also added. 5" lift blocks and an add a leaf kit for the rear with new u-bolts take care of the rear. This system will not cause your Stabillitrak to malfunction. If you're worried about ride quality, don't be. 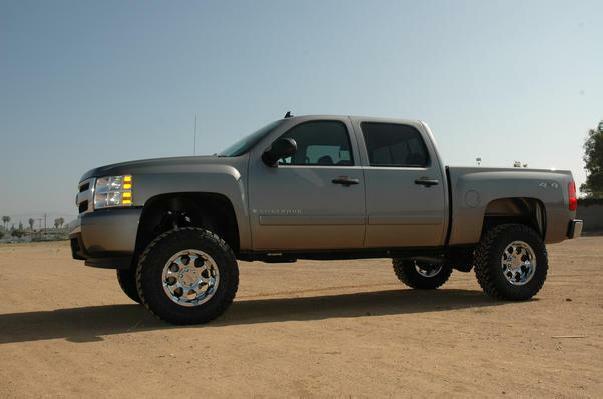 Your truck will maintain its ride quality after being lifted with this kit. You'll also be able to fit up to a 35" wheels 8" wide wheels with 5" of backspace. The part number for this item is CSK-C3-14-1 and it fits 2007-2015 Chevy Silverado 1500 models. Does NOT fit 2007 "Classic" Models. You will need to upgrade your rear shocks with installation of this kit. You can use the CST Shocks (available above for an extra charge), or you can use another brand of your preference. * LARGER DIAMETER TIRE AND WHEEL COMBINATIONS MAY BE USED, BUT WILL REQUIRE PRE-FITMENT AND POSSIBLE TRIMMING.